on 9/10/2011 FEMA arrived in NYC to train for planes hitting buildings. what happened the next day? on 12/14/12 Homeland Security of Connecticut was supposed to be in training for a disaster with kids. what happened the next day? 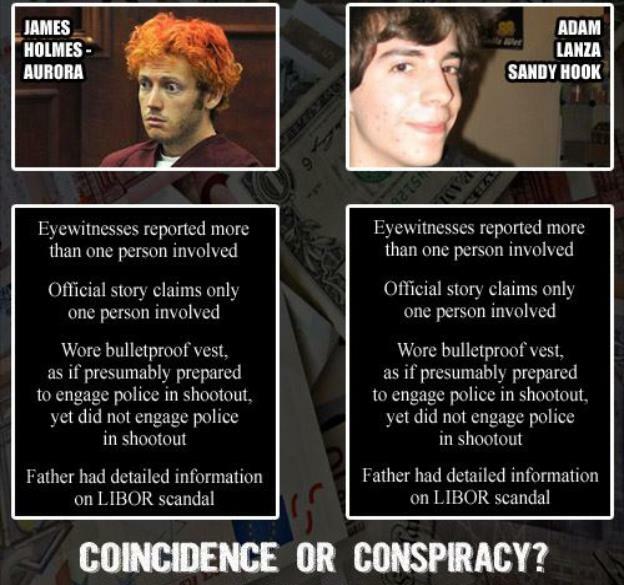 Sandy Hook was a giant movie set B.
i’m saying no children probably died. 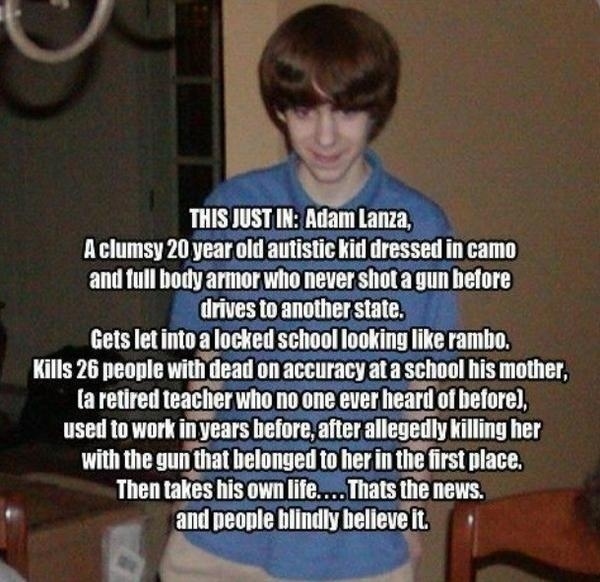 if some did, it wasn’t 20. it wasn’t by some lone gunman kid. and there was agenda. the Ellie Parker Facebook page might still be up but the other ones were taken down & recreated after 12/14. i saw the pages then. the video in YouTube with over 10 million views has footage of the FB pages and i tweeted the homeland security page yesterday…. …which was about a training exercise scheduled 12/14 to deal with “children disasters” 20 minutes from Sandy Hook. if you’re still the person that believes there’s no way our own government would do anything to harm us…go back to sleep. 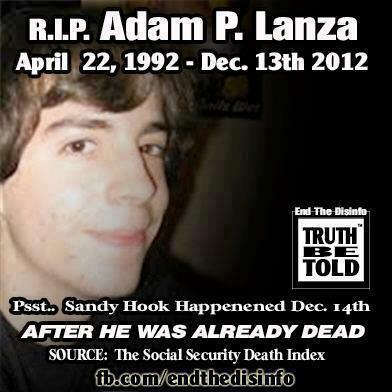 remember all those dead bodies we saw at Sandy Hook? wait. remember when we saw Saddam Hussein’s body? wait. remember when we all saw Bin Laden’s body? wait.